Trident United Way « Stitch Design Co.
Each year, Trident United Way hosts a Women’s Leadership council luncheon. 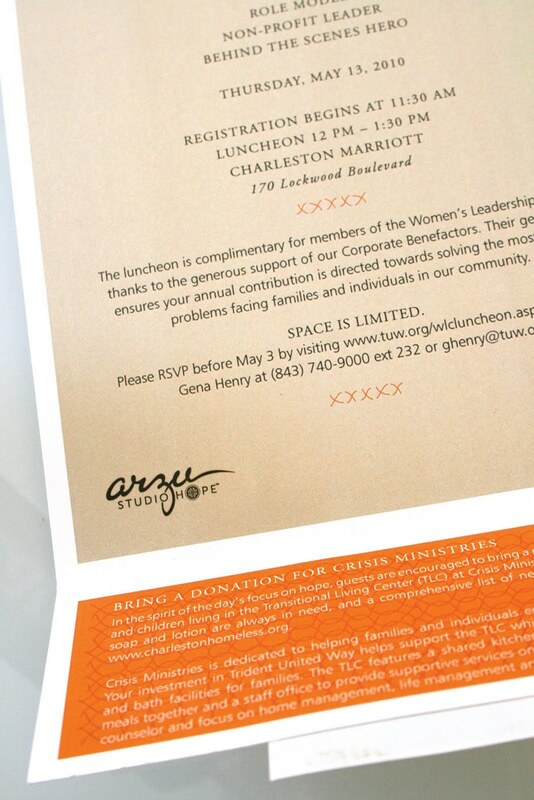 This year the keynote speaker was Connie Duckworth, CEO of Arzu Studio Hope. 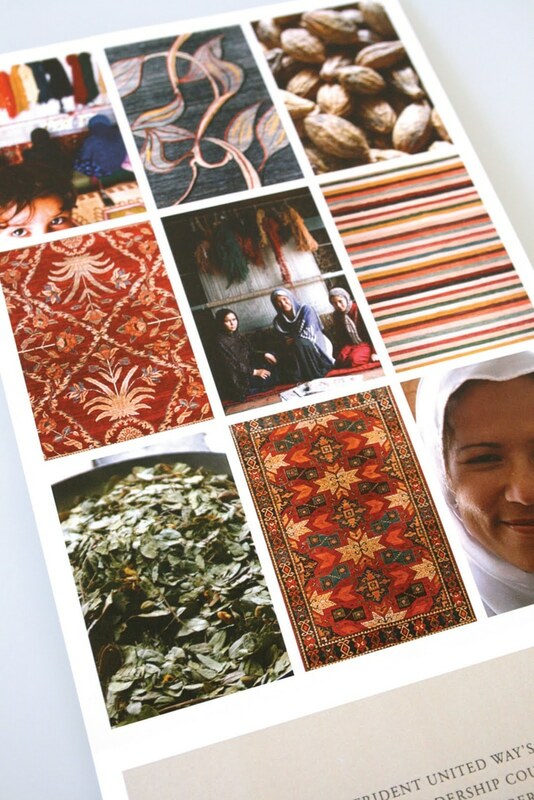 Arzu is an innovative model of social entrepreneurship that helps Afghan women weavers by sourcing and selling the rugs they weave. Arzu addresses three interdependent needs: consistent and improved employment, access to education, and access to basic healthcare. 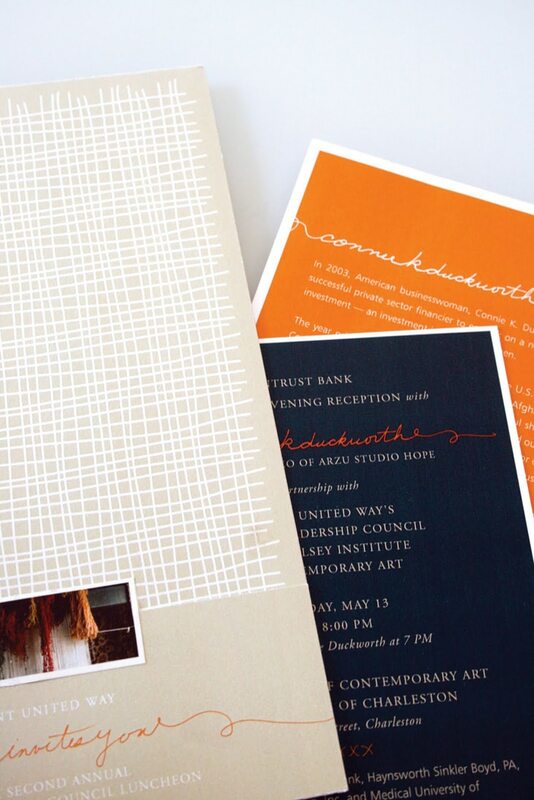 With such an inspiring company and product, the invitation came together organically. We used interlocking lines to evoke thread and rich color inspired by their beautiful woven rugs.